Crete, IL – May 15, 2017 – Classics filled the schedule on the final day of competition during the inaugural week at the new HITS Balmoral Park in Crete, Illinois. 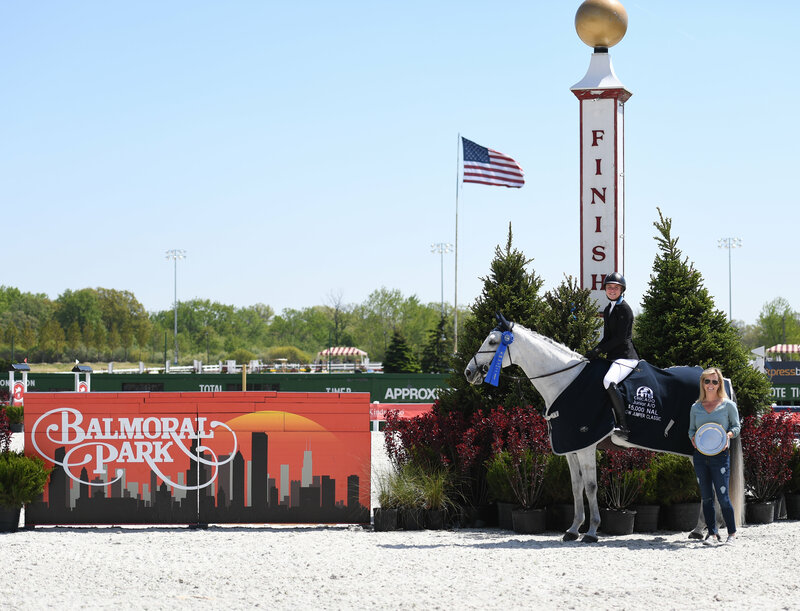 Exhibitors enjoyed a beautiful Chicago spring day while horse show moms were honored throughout the day and invited to the winner’s circle to share in the victories of their youngsters. HITS Chicago offers an amazing number of classics each week along with generous total prize money for them. Everyone knows horse show moms put plenty of time and sacrifice into their little riders including getting up at all hours of the morning to get kids to the horse show to school, some moms braid, some moms bring food, wash dirty show clothes, hold horses, clap for good rounds and wipe tears away when necessary. Showplace Productions and HITS did their best to honor the moms that hold things together while celebrating the close of the first week of showing at the spectacular new venue. Mothers had the option to head over to the Balmoral Woods Golf Club across the street from the horse show for a complimentary lunch and check out the club. Gift bags were also handed out to moms watching from the sidelines or from the new climate controlled grandstand and vendor area. Mackenzie Snider and Questa Capriole honor Mother's Day with a win in the $5,000 NAL Junior/Amateur Owner Jumper Classic. Photo Andrew Ryback Photography. 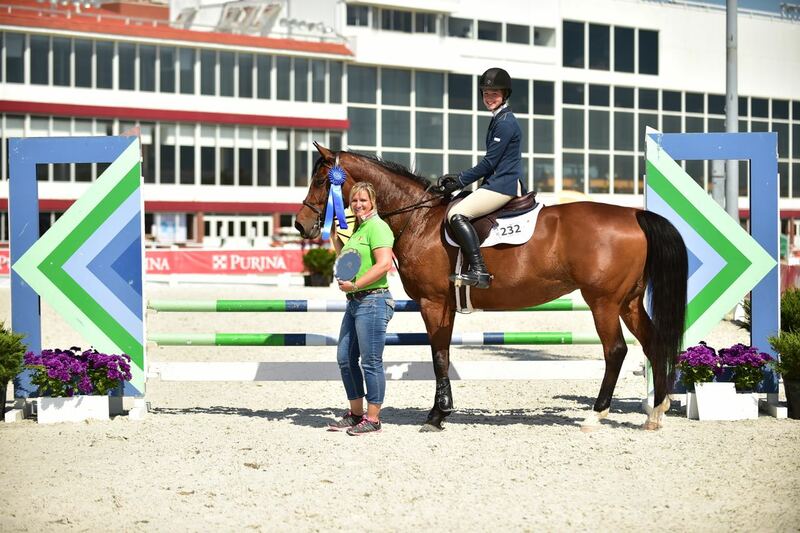 In the Grand Prix Ring, riders rode the Anderson Lima (Brazil) designed courses to classic victories. Stefanie Shaw and Raison De Vivre won the $1,500 NAL Child/Adult Jumper Classic and MacKenzie Snider with Questa Capriole claimed the blue in the $5,000 NALJunior/Amateur Owner Jumper Classic. 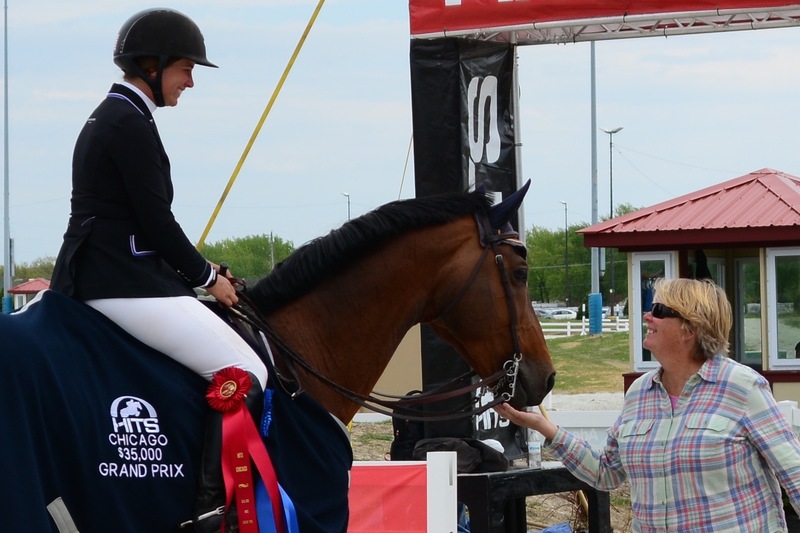 Taylor Flury’s mother, Janet, celebrated a Mother’s Day victory as Taylor took home the blue ribbon in the $10,000 1.35m Jumper Classic with Cosmea Z. Janet Flury is a hands on mom in their AliBoo Farm breeding and training business in Minooka, Illinois. This time of year especially, the family is busy helping the four legged equine moms deliver their foals but Janet was able to get away to lend Taylor a hand for the victory. Skyler Hendricks and Delilah shared the winner's circle with her mom and trainer, Andrea, for the win in the $500 Puddle Jumper Classic. Photo Andrew Ryback Photography. 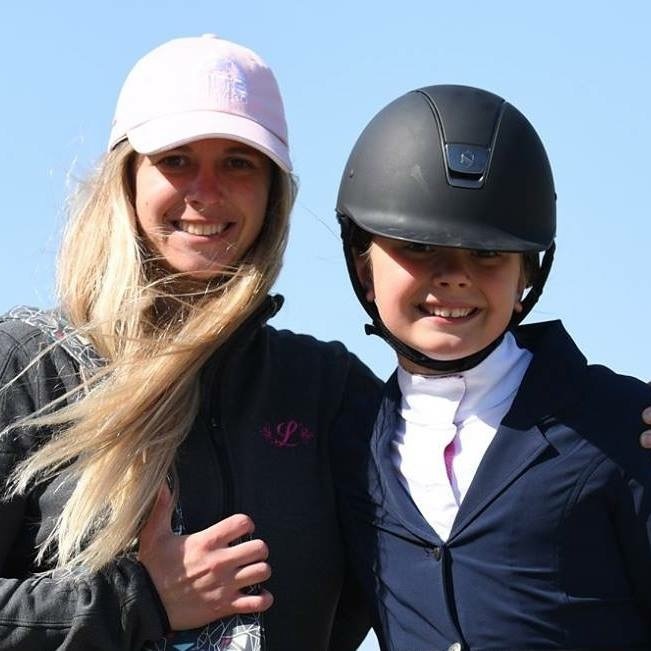 Skyler Hendricks of Bourbonnais, Illinois, shared her win with her mother and trainer, Andrea, as she sped to the win in the $500 Puddle Jumper Classic on Delilah. 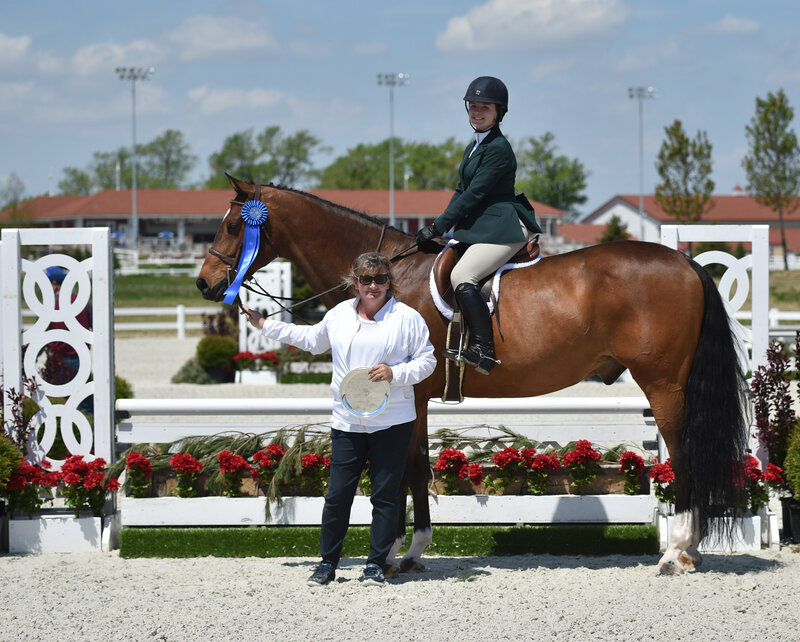 Over in the Main Hunter Ring, Michigan’s Paige Matthies clinched the win in the $1,000 CWD Junior/Amateur Owner Hunter Classic with her handsome bay, Justified. Paige’s mom, Laura, is frequently seen dusting off boots, holding horses, running to the show office and checking schedules, but this time, got to relish in the victory center stage. Paige Matthies and Justified invited horse show mom, Laura, for the presentation in the $1,000 CWD Junior/Amateur Hunter Classic. Photo Andrew Ryback Photography. 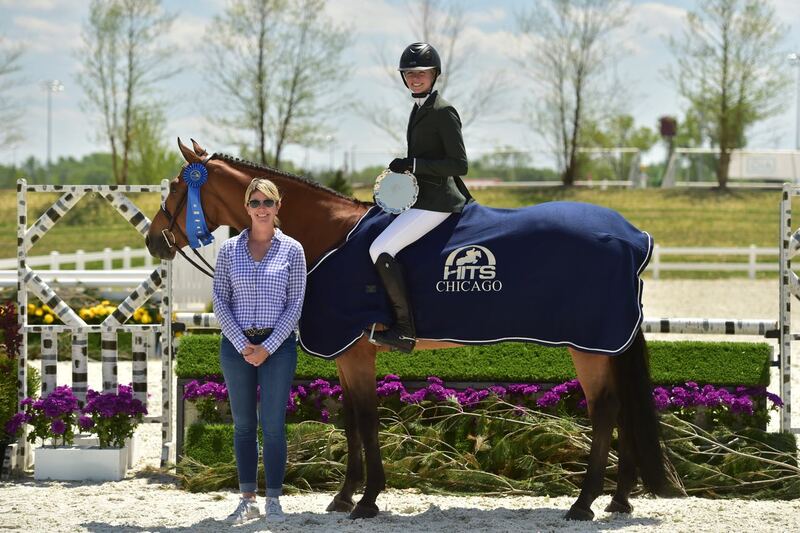 In another new HITS Chicago ring, trainer and mom Jeannine Lamb-Hugi celebrated a Mother’s Day win with her daughter, Nina, as she was awarded the silver plate for the $500 Novice Children’s Hunter Classic with Ted E Bear. Jeannine of Mundelein, Illinois, juggles motherhood and her Winter Meadow Farm business; sometimes sneaking away from the horse shows early to attend events at school. The trainer and mom boasted about the new venue. 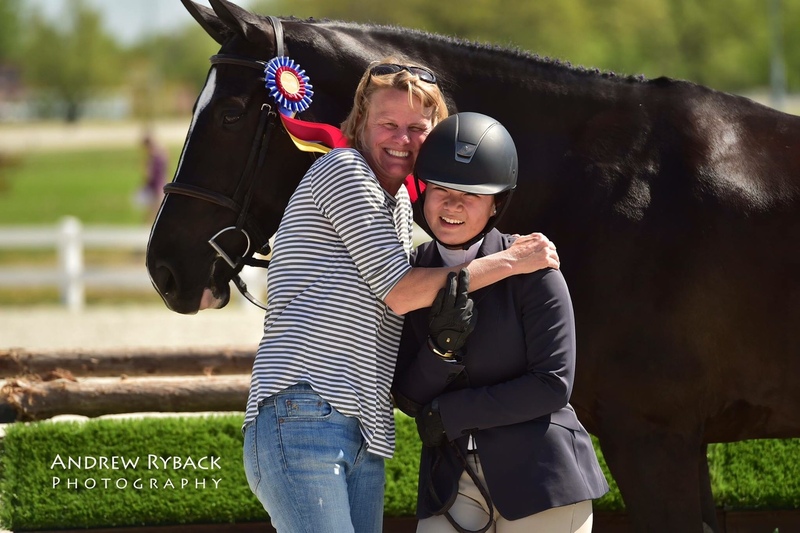 Proud mom and trainer, Jeannine Lamb-Hugi, shared the win the her daughter, Nina, for the $500 Novice Children's Hunter Classic on Ted E Bear. Photo Andrew Ryback Photography. Samantha Michael and Paint Me A Picture won the $250 Short Stirrup Hunter Classic and her mom shared in the victory. Photo Andrew Ryback Photography. Samantha Michael and Paint Me A Picture won the $250 Short Stirrup Hunter Classic and her mom shared in the victory. Annually, HITS awards a total of about $15 million in prize money. Established in 1982 by Tom Struzzieri, HITS has locations in Ocala, Saugerties, Thermal and Culpeper. Now teamed up with the Midwest company Showplace Productions and Patrick Boyle, known for their outstanding coordination and management, the series is proving to be a winner. 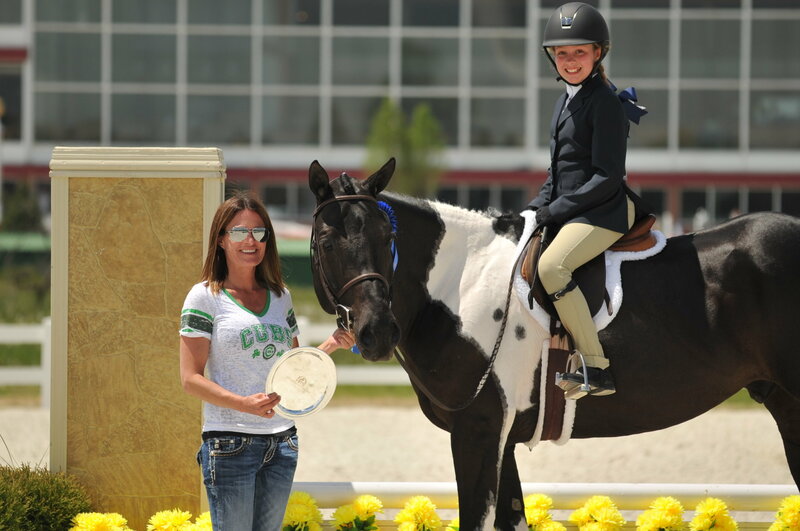 Competition continues with the Showplace Spring Classic II, May 16 – 21st. For a complete list of results and horse show dates, visit the website at www.hitsshows.com. 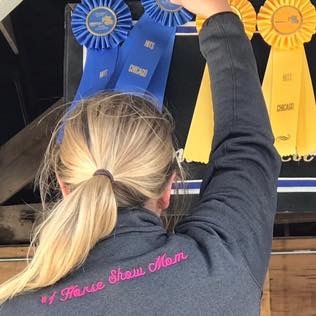 Here's to the horse show moms - thanks for all you do!